This article first appeared in City & Country, The Edge Malaysia Weekly, on October 29, 2018 - November 04, 2018. Yuwang Group plans to launch the second phase of its Semanja Kajang township — Semanja Garden Homes — in mid of November, comprising 122 units of 2-storey semi-detached houses and 25 units of 2-storey link houses on a 19-acre parcel. The facilities in the landed stratified development include a 6,000 sq ft clubhouse and a one-acre park for the residents. The built-ups of the link houses range from 2,615 to 2,960 sq ft, with a land size of 22ft by 78ft. For the semi-detached houses, the built-ups are from 2,780 to 4,610 sq ft, with land sizes of 35ft by 80ft, 40ft by 80ft, 40ft by 85ft or 40ft by 102 ft. The selling price is about RM350 psf. 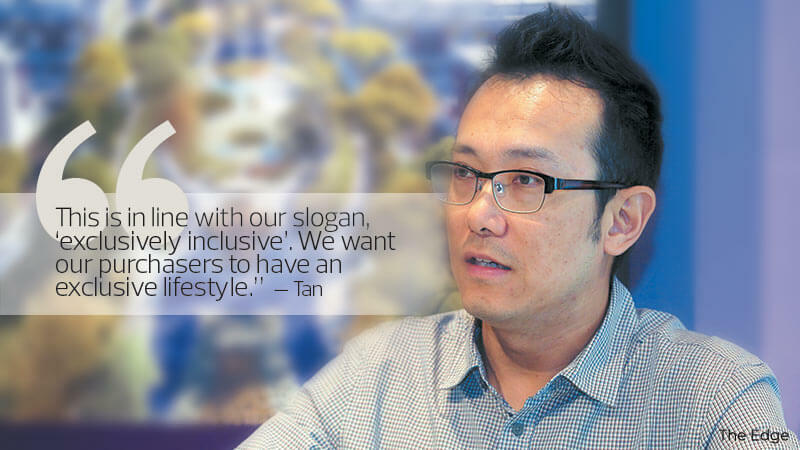 Executive director Tan King Hong says the gated and guarded development focuses on promoting a great lifestyle. The facilities offered — including the clubhouse, parks, jogging and cycling tracks — are meant to encourage more interaction. The façade of the houses will boast a modern contemporary design. Inside, the houses will designed to ensure there will not be wasted space, with high ceilings to improve natural ventilation and allow more light. Yuwang is targeting upgraders and owner-occupiers from the southern part of Klang Valley, such as Cheras, Ampang, Kajang and Semenyih. Bypass and the upcoming East Klang Valley Expressway. As for amenities, the surrounding area is quite mature with supermarkets and malls such as Tesco, Econsave, AEON and IOI City Mall, as well as educational institutions such as international schools and universities. Launched in 2016, the RM228 million Semanja Kajang is located to the east of Kajang, about 300m off the Kajang-Semenyih Bypass, and is linked to the Cheras-Kajang Expressway. The 60-acre freehold mixed-use development comprises four residential phases and one commercial component. 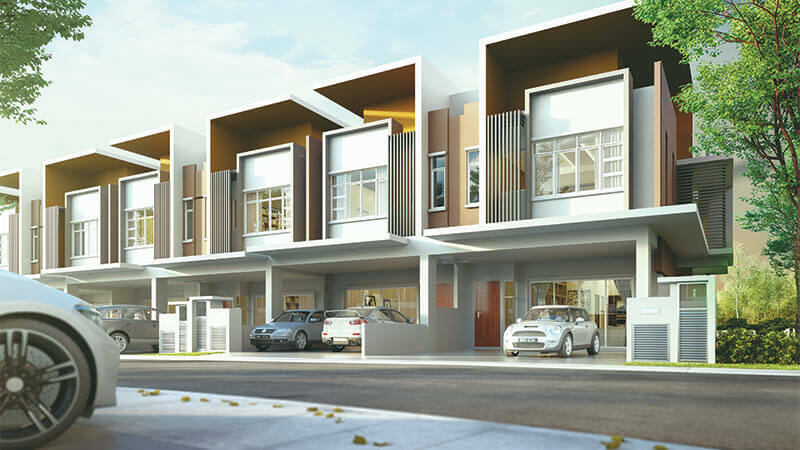 Phase 1, Semanja Park Terraces, offers two types of terraced houses. Launched in March 2016, Phase 1A is completely sold and the units are now being handed over. Phase 1B is still under construction and is scheduled to be completed by year end, with the keys to be handed over early next year. Only one unit in this phase remains unsold because the loan was rejected. In a couple of years, the developer will launch the third and fourth phases — condominium Semanja Residences and Rumah SelangorKu — in the township. They are now in the planning stages. 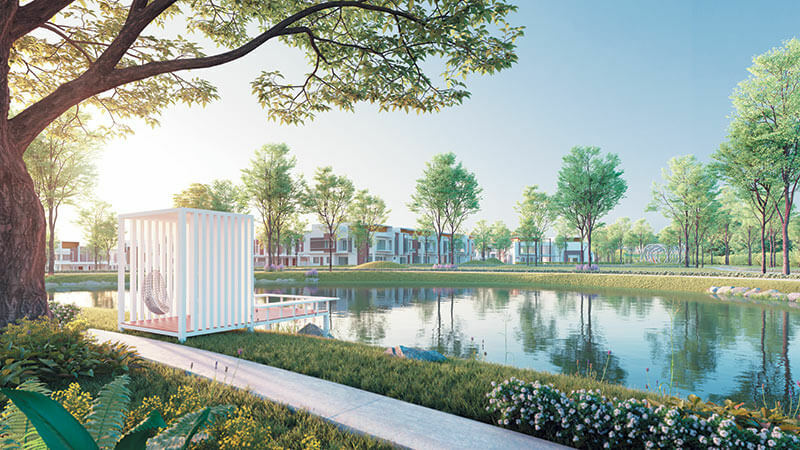 Despite the current slow market, the developer is confident Semanja Garden Homes will do well because it received many requests for semi-detached houses during the launch of Phase 1, according to Tan. “This is why [even] before we hand over Phase 1, we are rushing to launch Phase 2. There are not many semi-detached houses in the southern part of Klang Valley. I think the demand is growing and registration for our product is continuously going on. Our pricing is not expensive as well,” he says. The average selling price for a terraced house in Kajang is RM650,000 to RM800,000 while a semi-detached house can fetch RM900,000 to RM1.2 million, says Anthony Chua, director of KGV-Lambert Smith Hampton (M) Sdn Bhd. Malaysia, Universiti Putra Malaysia and Universiti Tenaga National. In terms of rental demand, there will be a positive spillover effect as students look for accommodation. Connectivity is not a problem in Kajang, which has several MRT Line 1 stations, while the SILK Expressway, North-South Expressway and LEKAS Highway link it to other parts of the Klang Valley. “Looking ahead, Kajang is poised to be one of the leading suburban areas in terms of infrastructure and facilities. Given the relatively lower pricing compared with other suburban areas in the Klang Valley, demand for property there is likely to increase in the future,” Chua says. Kajang is within the Hulu Langat district, and National Property Information Centre data shows that from 2016 to 2017, incoming supply of landed property for the district rose 17%. In 2016, a total of 9,714 transactions were recorded, and the following year, 9,693. “The demand is relatively stable,” Chua says, adding that it mainly comes from middle-income families, professionals working in the city centre, students from nearby institutions of higher learning and civil servants from Putrajaya. Yuwang has a few projects in the pipeline. The next launch at the end of the year or early next year the first phase of Bandar Utama The Weld, a 100-acre township development in Tawau, Sabah. It will offer more than 400 link houses and semi-detached homes on a 60-acre parcel. After that, the developer will launch the 100-acre Semanja Industrial Park in Puncak Alam, located next to Eco World Development Group Bhd’s Eco Business Park V. “We target to launch it next year. We have got the approvals and will first start the physical work,” says Tan. Yuwang also has 100 acres next to IJM Land’s Bandar Rimbayu. Tan says Semanja Kemuning, which is under planning, will feature a mix of residential and commercial developments. “We will unveil it in two to three years’ time, and the first phase will be residential,” he says. A much bigger project is the 1,300-acre Aerofront City near Kuala Lumpur International Airport — a mixed-use development comprising residential, commercial, industrial and education components. “We just got the mixed development rezoning approval and a lease extension to 90 years. The next step is to submit the development order in stages. When the [right] time comes, we will launch it,” says Tan. In Mont’Kiara, the developer is planning a condominium on a 9 to 10-acre parcel, to be known as Semanja Hartamas. Tan says it will be on the drawing board very soon. Besides these, Yuwang has 800 acres of undeveloped land bank in Selangor and Perak. Tan says it is always on the lookout for more land. Yuwang started off as a plantation company and plantation remains its core business. Most of its plantation land is in Sabah, with some in Sarawak, Selangor and Pahang. Going forward, the developer will focus on the southern side of Klang Valley. Although it has some land in the north, “we feel the population is moving towards the south”, says Tan. Although the market is slow, he says Yuwang needs to launch projects to boost the group’s profit. “We have enough land bank for future planning. For now, we will launch those projects that we have got approvals for in a steady and gentle manner to suit the market,” he adds. It will also work to establish the Semanja brand. “Previously, we have done a number of projects but without any branding. People won’t really remember who you are if there is no brand. So, in the Klang Valley, we will be establishing our Semanja brand,” he says.